A subscription to the Fire & Arson Investigator journal is one of the many membership benefits enjoyed by IAAI Members. The journal is published quarterly — January, April, July, and October. IAAI Membership is required to access online issues of Fire & Arson Investigator. Members, please sign in at the left for access. 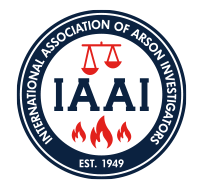 Fire & Arson Investigator (F&AI), is the journal of the International Association of Arson Investigators (IAAI) which is published quarterly – January, April, July and October. F&AI welcomes well-researched and well-documented submissions on all aspects of fire investigation. F&AI reserves the right to accept or reject any article submitted for publication. Please review the F&AI Author Guidelines to assist you in the electronic submission.